"Anger indicates I love something other than God." The devotional series Under His Wings has ended, but your exploration of God’s sovereignty, ownership, and the promises of Psalm 91 can continue! The sovereignty of God is a subject that makes itself known in most, if not all, of Martha’s teachings, but two in particular focus on it in great depth. The first is All and Only, a book that explores God’s sovereignty in relation to destiny and suffering. The second is the sixth booklet in the Loving God Booklet Series, God’s Sovereignty. This little teaching brings great healing to wounded hearts by taking the reader directly to the Author of their story. For more on the promises of Psalm 91, you won’t want to miss Martha’s Message of the Month, “I Am Owned (Psalm 91)” – a beautiful clarification of the many rewards that accompany belonging to Jesus and the warfare that attacks that belonging. In His Hands: The Place Where I Belong is a 2-CD series on our great need to belong and the reality that we will belong to someone. Ownership is inevitable; we just choose who that owner will be. Under His Wings is the beginning of Martha’s exploration of Psalm 91, and the upcoming devotional series, Who Are You, God?, continues that exploration. May the Holy Spirit guard and nurture the revelations that He’s imparted through these devotions to each and every one of you! NOTE: We’re offering a 25% discount on each individual teaching mentioned above. 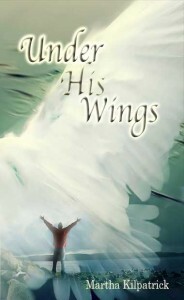 When checking out at LivingChristianBooks.com, just enter the coupon code BELONG. Enjoy!